Investors are now suing Christopher Dougherty saying he befriended and convinced them to hand over more than seven-million-dollars over the years. Correction: An earlier version of this story reported a U.S. Bankruptcy Court Judge called Dougherty’s business dealings a “Ponzi scheme” when it was an attorney for the U.S. Bankruptcy Trustee who said this. The story below has been updated to reflect this. Investors across San Diego County say their relationship with Christopher Dougherty started with a “financial opportunity” pitch that promised them modest but dependable returns on their investment. Dougherty offered an investment opportunity in an organic beef ranch in Alpine. He touted new housing projects and a marijuana cultivation plan as another solid investment. But years later, eleven investors tell NBC 7 Investigates they have seen very little, if any, return on the millions of dollars they invested with Dougherty. Some investors tell NBC 7 they lost their life savings and now, a criminal investigation is underway. Dougherty and his wife filed for bankruptcy protection last October. The Poway couple lists 35 investors who are owed more than $6 million. Eleven of those investors say that Dougherty actually owes them more than $7 million. Of the 35 investors, nearly a dozen work for local school districts. Three of the investors have filed lawsuits against Dougherty, alleging negligence and fraud. Those cases are still pending in court. In response to the lawsuits, Dougherty acknowledged that he received the investment money, but denied all fraud allegations. On Thursday, NBC 7 Investigates tried contacting Dougherty at his Poway home and offices, in addition to contacting his attorneys but received no response. Christopher Dougherty has been accused by investors and a Bankruptcy Court Judge of orchestrating a Ponzi scheme that ended with investors being owed millions of dollars. On March 14, a U.S. Bankruptcy Trustee attorney denied Dougherty’s request for bankruptcy protection on his remaining assets stating he used "new investment money to pay existing investors" creating the "false impression" that the money was from investment profits. The attorney noted she found 22 bank accounts Dougherty tried to hide from the bankruptcy court. “This deception is the basis of a Ponzi scheme," the attorney’s statement read. Both the San Diego County Sheriff’s Department and the District Attorney’s office told NBC 7 they're investigating Dougherty’s business dealings. In his bankruptcy filing, attorneys for Dougherty asked the Trustee if they could use what money he has left to pay for his legal defense tied to an SEC and California Department of Corporations investigations. Dougherty’s request was denied. In the filings, Dougherty’s attorneys added that both his SEC and real estate licenses have been revoked. That investor said he immediately trusted Dougherty with his cash and eventually invested $250,000. But that trust has now turned to fear, and the investor agreed to talk with NBC 7 only if his identity remains secret. The man’s name is listed as one of 35 investors to whom Dougherty admits he owes money. “He asked us to liquidate some things and then he offered us a better position if we invested with him,” the investor said. One of the investment opportunities he says Dougherty pitched was a 100-acre “organic” cattle ranch in Alpine. Three other investors told NBC 7 that Dougherty also pitched them on the Alpine ranch investment. They said Dougherty told them the California Department of Forestry had also invested in the property. Documents confirm the U.S. Department of Agricultural also gave Dougherty several grants in excess of $400,000 to “install and maintain conservation practices including those related to organic production” on the Alpine property. The investors said Dougherty at first did pay them a return on their investment, but they claim the payments eventually stopped. NBC 7 visited the ranch but was unable to locate Dougherty. There were at least 15 cows on the property, but a ranch worker said the herd had been over 120 at one time. NBC 7 Investigates saw a cattle trailer and counted 15 cows on Dougherty's Alpine ranch property. Investors said Dougherty also promoted a marijuana growing project on that Alpine property. But Drug Enforcement Agency (DEA) agents raided the property and confiscated the marijuana, according to records filed in Dougherty’s bankruptcy case by the trustee and Dougherty’s attorneys. Labella said in general, orchestrators of these kinds of schemes can only go for so long. “It just continues, continues until ultimately the house of cards falls,” Labella said. 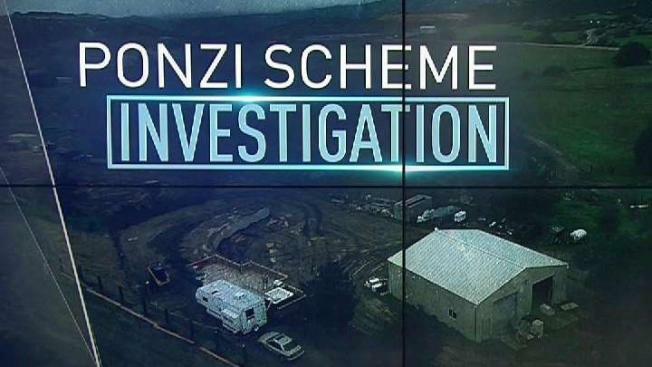 Labella says in his experience, Ponzi scheme victims rarely get repaid. “They can usually find assets that can be liquidated in the best case scenario. In the worst case scenario, the money's all gone and there's nothing there. There are just pennies on the dollar, and the [investors] are just out their investment. It’s just shameful,” Labella said. This isn’t Christopher Dougherty’s first run-in with law enforcement. In January 2012, Dougherty was charged with a felony count of fraud, according to the criminal complaint in that case, after he was accused of taking money from the Tecolote Youth Baseball group for his personal use in 2009. Dougherty volunteered as the organization’s treasurer. Dougherty pleaded guilty to misdemeanor fraud and was sentenced to three years’ probation, according to the San Diego County District Attorney’s office.